Today, Poetry Friday is hosted by Renee LaTulippe at NoWaterRiver. 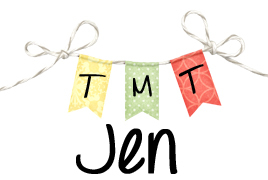 Head on over to check out all the poetry fun going on over there! Thanks, Renee! 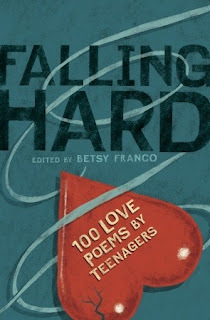 I'm diving into some love poetry written by teenagers and reading Falling Hard this week. So much to think about and remember about young love. For the next few weeks, I'll share my favorite poems from Falling Hard. I'm a sucker for love stories and thinking about new love is exciting and nerve-wracking at the same time. Jessica does a great job of capturing feelings of wanting to dive in and give everything over to emotions when falling in love but at the same time the hesitation of being able to really open your heart to someone so completely. Every relationship should be based on trust and for some people it's easier to trust someone than others, or some people seem more trustworthy than others. I have a friend who can move from one relationship to another without skipping a beat. Part of me wonders how she so easily moves from one man to another, how she finds the ability to trust another person so much after being let down by the last person. She's a beautiful person, caring and generous, so maybe that's part of it, but I feel like it would be hard to be able to give your heart over and over after having it be broken again and again. What I love most about Jessica's poem is that while she shows the give and take of emotions when falling in love, she also makes a clear statement that it's best to just go for it. Stay classy but go for it at the same time. When it comes to life, it's just entirely too short no matter how long we live. It's too short to not take a chance on love. It reminds me of the quote from Alfred Lord Tennyson, "“'Tis better to have loved and lost than never to have loved at all.” Broken hearts are no fun but being too scared to open your heart up to love ever doesn't sound like a fun life to me. What do you think of Jessica's poem? How she alternates perspectives about love? I think she does a great job. Thanks for sharing your thoughts!